January 5 this year marked the completion of three years of Sheikh Hasina's cabinet. Opinion surveys published in some dailies showed her government's declining popularity. And on that very day, her party-backed mayoral candidate faced a humiliating defeat to a pro-BNP leader in the battle of ballots in the first Comilla City Corporation (CCC) elections. While the election results were being announced, the PM addressed the nation in the evening to mark the government's three years in office. She spoke at length about her government's successes and the development activities that she had taken. She portrayed a rosy picture of the overall situation, but skirted around some of the pressing issues that people were keen to hear about. Hasina took 42 minutes to read the voluminous 11-page speech. This time, she did not ask the country's people to judge her government's performances as she had done in the previous two anniversary addresses. Instead, she said: "We are making relentless efforts to fulfil our pledges, facing many hurdles. We will not claim hundred percent successes in all fields." People, however, judge the performances of the ruling party whenever they get an opportunity. And they did it in the Comilla polls, although on a very small scale as the number of voters was only 1.69 lakh. Before the end of the PM's address to the nation, it became clear that the ruling AL-backed candidate was going to lose the battle in Comilla. He conceded a humiliating defeat to a pro-BNP leader, who had resigned from the BNP only because his party was boycotting the polls protesting the use of electronic voting machines in the election. The morning of January 6 began with disappointing news for Hasina's government. Along with the news of defeat in the Comilla polls, two influential dailies, Prothom Alo and The Daily Star, released their opinion surveys on the government's performance over the past three years. Both the surveys show that the popularity of the ruling party declined while the BNP's increased. Most people think that the country is heading in the wrong direction, say the surveys. The surveys also show that people are not satisfied with the performance of the BNP. But the BNP seems to have merrily accepted the surveys without questioning their authenticity because it is always assumed that people aggrieved by the government's performance will vote against the ruling party. As people do not have an alternative, the BNP leadership thinks that the voters will vote for the party the next time. Does it mean that the possibility of the BNP's return to power in the next parliamentary polls largely depends on the performance of the current government? Being the main opposition, the BNP has not done anything significant to woo popular support. But the main opposition's grassroots level leaders have performed well in the countrywide municipalities' polls in January 2011, upsetting the ruling AL high command. 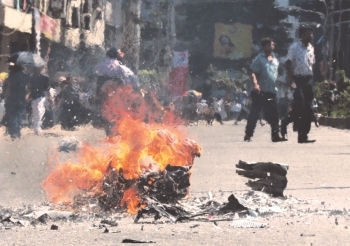 The municipality polls' results have given a boost to the main opposition BNP that faced a debacle in the December 29 parliamentary polls in 2008 for its misrule when it was in power from 2001 to 2006. At the end of January 2011, BNP nominated candidate won Habganj-1 parliamentary by-polls, defeating the ruling AL candidate. The parliamentary constituency was considered a stronghold of the AL as its late leader Dewan Farid Gazi had been elected from this seat in 1973, 1996, 2001 and 2008. Jatiya Party, now a component of AL-led grand alliance, candidate won the seat in 1991 election. 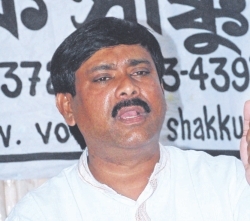 Ruling AL blessed candidate faced a humiliating defeat to Selina Hayat Ivy in the Narayanganj City Corporation polls. The CCC defeat is the list in a long line of debacles that the AL has faced in the last three years. Does the poor performance of the ruling AL leaders in the local government polls reflect the declining popularity of the government? It certainly does. People speak through the ballots whenever they get a chance to do so. To make matters worse, unruly behaviour and controversial activities of the ruling party men are largely responsible for tainting the image of the government. However, after the Comilla polls, both the ruling and opposition parties did not waste time to use the election results in their favour to consolidate their own position. Prime Minister Sheikh Hasina on January 7 said that the Comilla City Corporation election had manifested her government's neutrality. Claiming that all elections under the present political government were fully free and fair, she said, "We believe in the power of the people and the party which has the public support will come to power; the government will never interfere in the electoral process." Does it mean that the government gains politically in the ruling party backed candidate's defeat? Will Comilla polls contribute to the consolidation of the AL's stance against the caretaker government? Will people start to believe that the next parliamentary election will be free and fair under an AL-led government? The answers to these questions are negative. If the ruling party had tried to rig the Comilla polls, it would have given boost to the demand for the restoration of the caretaker government. The BNP leaders have also been using the Comilla polls to portray the decline of the government's popularity. But the BNP leadership should not forget that they also failed miserably to perform as the main opposition. Opinion surveys show that people are not happy with the opposition's performance. If people vote for the BNP, they will do so as a reaction to the anti-people activities of the ruling party and the government. So, the main opposition BNP should re-assess its political strategy and decide on its next course of action to come out of confrontational culture in politics. The BNP's latest political stance however indicates that the party may proceed with a new strategy of "positive politics". The party's decision to join the dialogue with the president on the formation of the new Election Commission was largely appreciated. The party may even join the parliament's upcoming session that will begin on January 25. A policymaker of the main opposition BNP has recently said that they are discussing within themselves ways to bring about changes in the country's ever pervasive culture of confrontational politics. "We want a positive change in politics. We are working to this end," he says. He has also said that there are some leaders in the party who are opposing the move to bring positive changes in the party's political strategy. If the BNP is able to ring the bell and bring about a change, it will put tremendous pressure on the ruling AL and the government to re-assess their political strategy. It will not be so easy for the ruling party to keep rejecting the opposition's all demands including the crucial one for the restoration of the caretaker government system to ensure free and fair parliamentary elections. What can the ruling party's next move be? The AL policymakers should not ignore the opinion surveys published in different dailies. PM's adviser HT Imam on January 6 expressed his disagreement with the survey reports of The Daily Star and Prothom Alo on the government's three years in office. Speaking on BBC Bangla, the adviser claimed that the number of success stories of the government outnumbered the failures. Right now the PM should not waste time listening to the sycophants. She should engage with the senior leaders of her party and its alliance components to evaluate the government's performance to find out her government's weaknesses and set a strategy to address those in the coming days. Three years have gone by. The remaining two years will fly very fast. So, the PM should keep in mind that she does not have the time to think much to initiate some new and bold measures to deliver on her party's electoral pledges to bring the change she had promised in the run up to the December 29 parliamentary polls. If it needs be so, she should inject new blood in her cabinet to bring dynamism in its activities. She should in no way tolerate the unruly activities of her party men, MPs and the disobedient members of the Chhattra League. She should issue a "standing order" to such effect. Only an outstanding performance of her cabinet members and good behaviour of her party men can ensure her party's return to power in the next elections. The writer is Senior Reporter, The Daily Star.